Bahá’í youth and their friends gather regularly to explore themes and questions characteristic to their age, to act on their developing sense of responsibility towards building community, and strengthen their understanding of the importance of faith and tenacity to a life of service. To respond to the needs of youth and teens throughout the world, the Bahá’í community offers the Junior Youth Spiritual Empowerment Program. 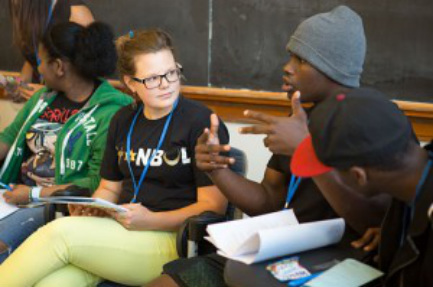 This program is aimed at building the capacity for moral reasoning and channeling the energy of young people between the ages of 11 and 14, and is carried out in homes, community centers, and public places throughout Carrollton. Training and hands-on accompaniment is offered for those who wish to become Program mentors and volunteers.